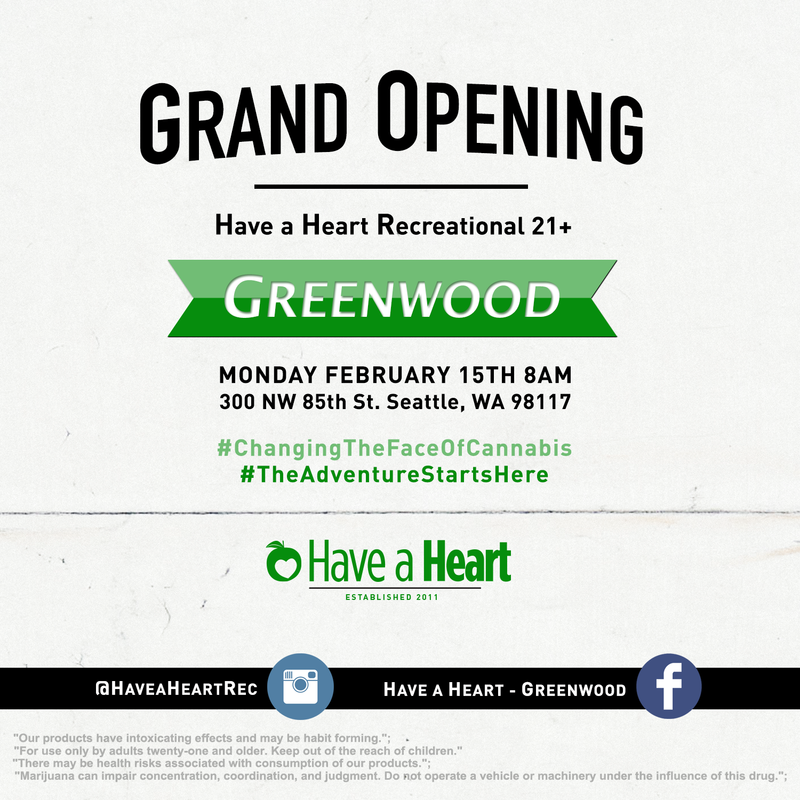 Have a Heart Greenwood is the newest member of the Have a Heart Family, and our second recreational marijuana location in Seattle. Our long relationships with local growers have allowed us to provide a wide array of well priced and highly sought after recreational marijuana, concentrates, and cannabis infused products. 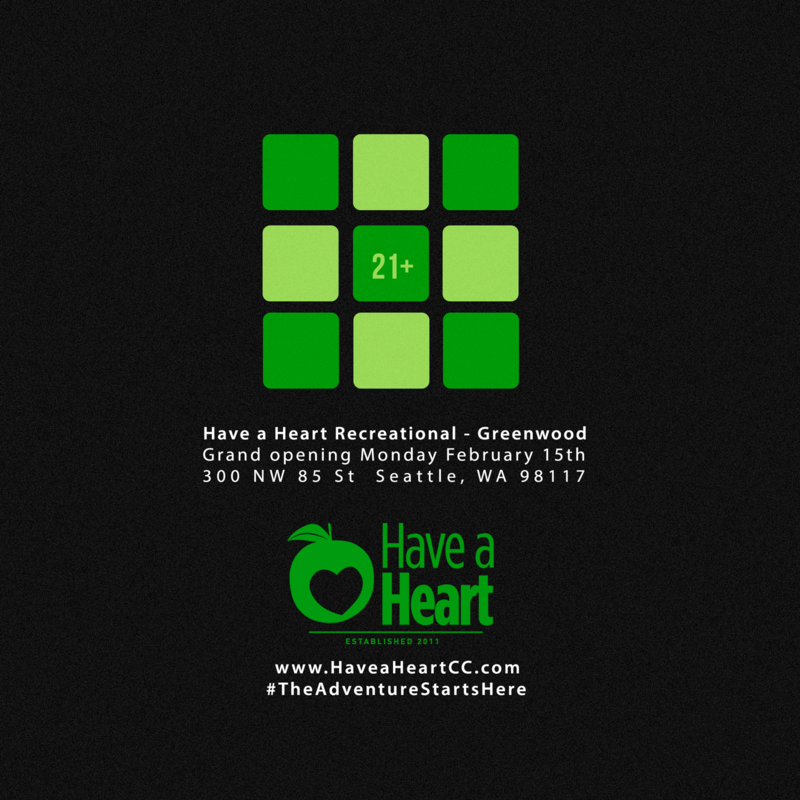 We are conveniently located near the intersection of 300 NW 85th St. next to the Fred Meyer.